This mod changes road atlas background. I made this map background using various Europe maps, and had to adjust Russian teritory to fit ROS map. Hope you like it. If you have any ideas how to improve something, feel free to comment. game_data.sii included. Feel free to reupload, but please give me credits. Please give this mod higher priority than your map mods. 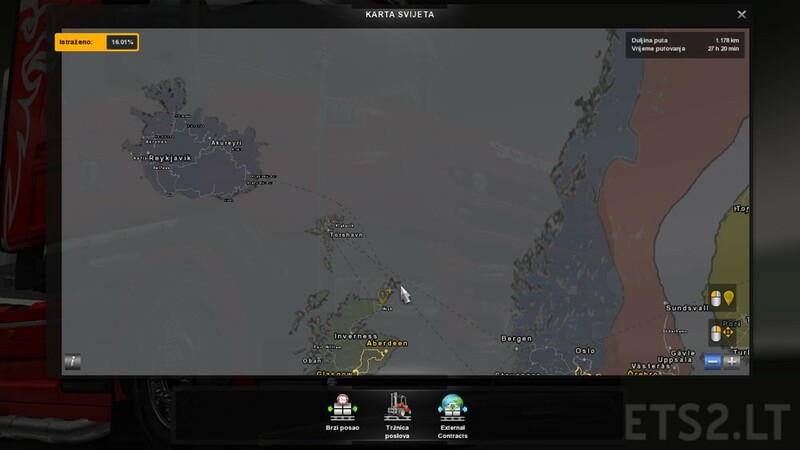 * Added Iceland and Scandinavian countries changed to fit ProMods cities. 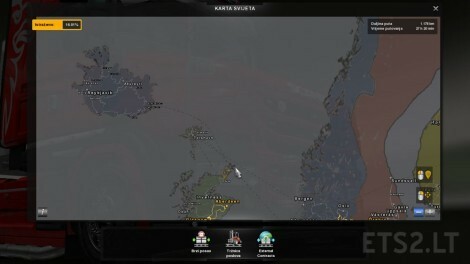 Now compatible with both tsm 6.2 and promods 2.0.
could it be possible to to include also the EAA Map ?? но пожалуйста, дайте мне кредиты. Как Вам дать кредиты о которых Вы просите? Или же это за реальные деньги? Just found out it doesnt work properly with default map only (without tsm or promods), working on a solution now..